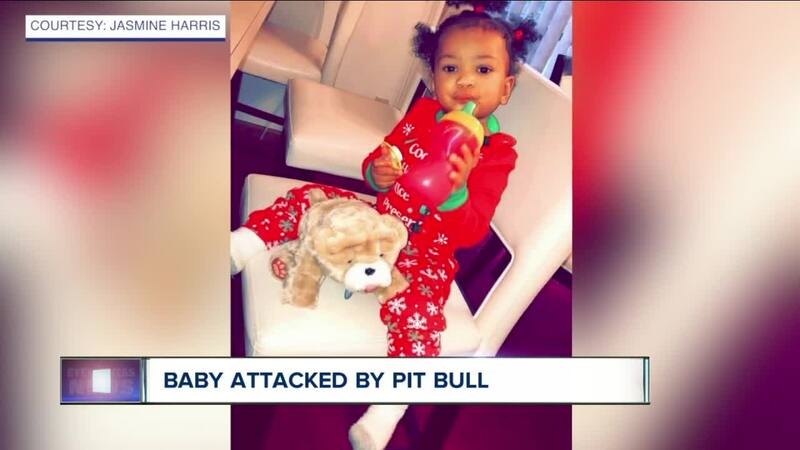 BUFFALO, N.Y. (WKBW) — An arrest has been made in connection to an attack by a pit bull on a toddler, according to Buffalo Police. The toddler's mother says the 14-month-old baby girl is recovering in the ICU at Oishei Children's Hospital after sustaining serious injuries Sunday night at a family friend's home on Watson Street in Buffalo. The girl suffered multiple lacerations, skull fractures and puncture wounds to her abdomen. She underwent surgery within the past 24 hours, her mother said. Police said the attack happened Sunday night on Buffalo's east side. 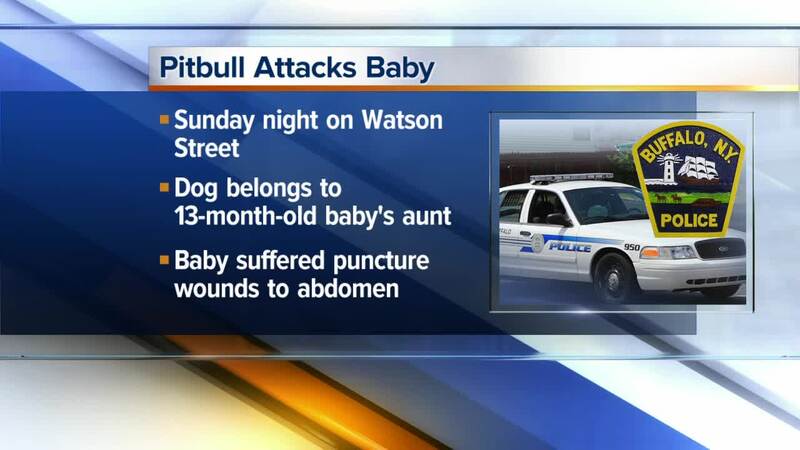 BREAKING: BPD make an arrest in connection with Sunday night pit bull attack involving young child on Watson Street. Police say dog has also been seized. According to police, 30-year-old Amber Lewis has been charged with endangering the welfare of a child. Police say she is the owner of the dog. Lewis was arraigned Tuesday morning in Buffalo City Court. She was released on her own recognizance. She's scheduled for a pre-trial conference on February 1st. Police say dog has also been seized.